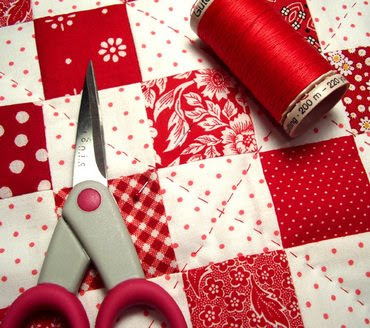 Desde que me iniciei no quilting que penso em quilts dia e noite. 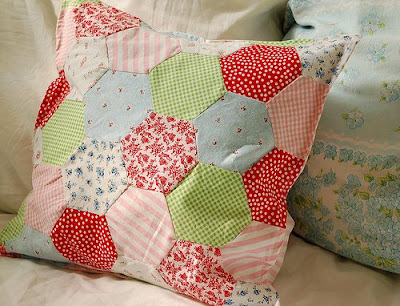 Já fiz pesquisas intermináveis no flickr e até já sonhei com patchwork! Partilho aqui imagens de alguns dos meus quilts preferidos, para que não sirvam de inspiração apenas a mim. 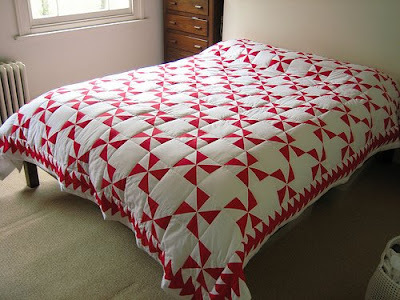 Todos estes quilts, pequenos ou grandes, são para mim um exemplo do que quero tentar fazer um dia. 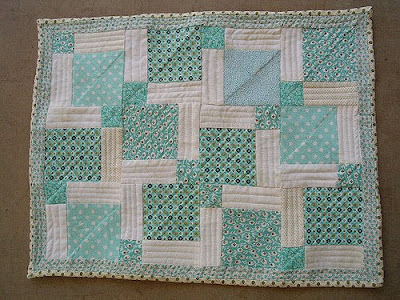 E já reparei que adoro quilts cheios de branco! 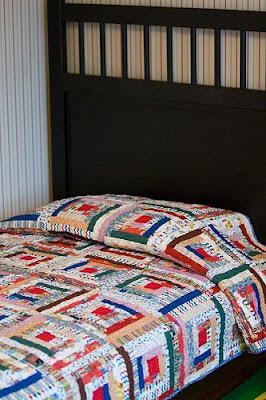 Since I've entered the quilting world I think about quilts day and night. 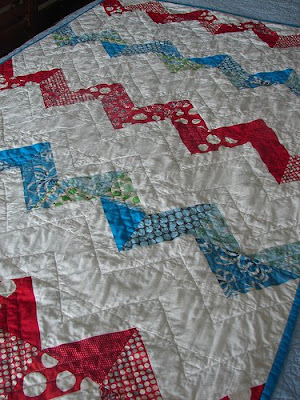 I've done a lot of 'research' over at flickr and I've even dreamt of patchwork! 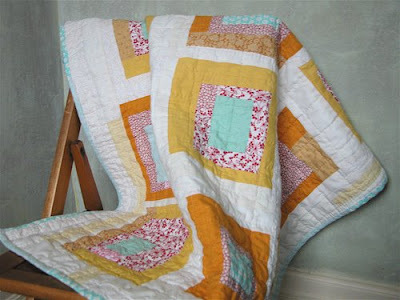 I'm sharing some pictures of my favourite quilts over here so they can inspire you as well. 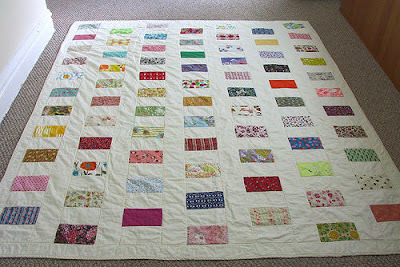 All of these quilts, large or small, are for me an exaple of what I want to make someday. 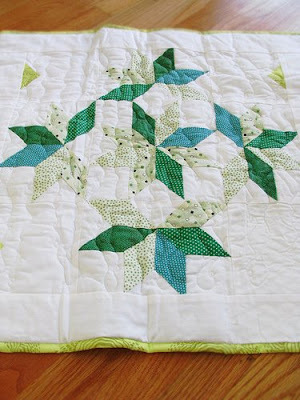 And I've noticed I love quilts that have a lot of white! N.B. 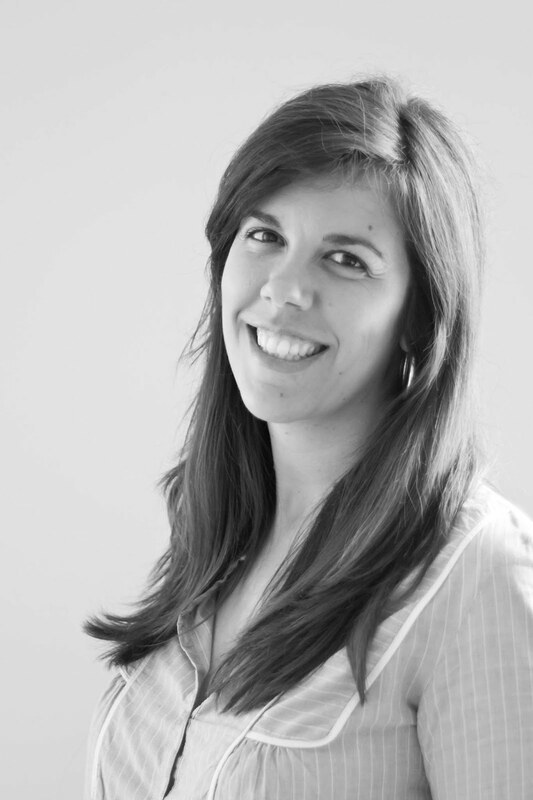 Todas as fotografias foram reproduzidas com a autorização das suas autores. A todas muito obrigada! N.B. All photos have been reproduced with the authors' permission. Thank you all very much! 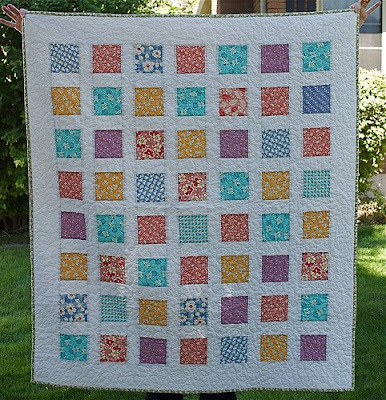 You're right, white is a great 'anchor' for patchworking. Some of them are also in my list. I love Wee Wonderful one, I've got it in my mind since I first saw it.